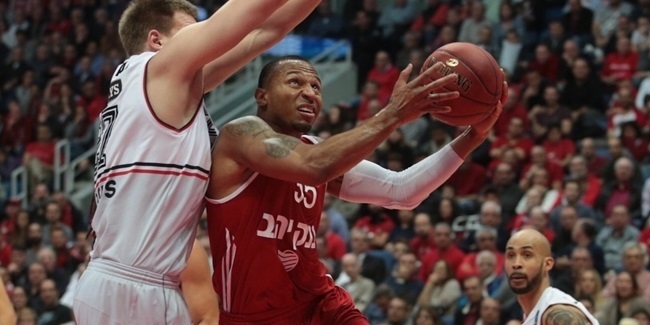 Hapoel Bank Yahav Jerusalem announced Friday that it had parted way with guard Curtis Jerrells, who was an All-EuroCup First Team selection last season. 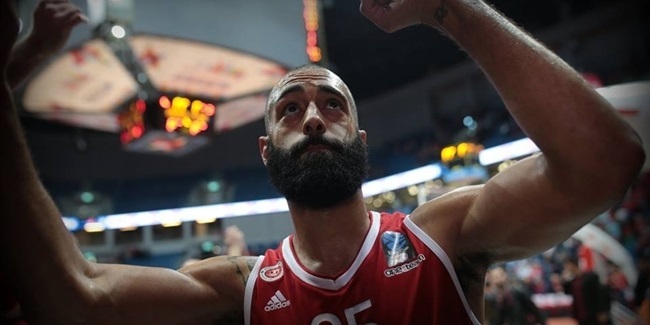 Hapoel Bank Yahav Jerusalem announced on Friday morning the addition of triple Turkish Airlines EuroLeague champ, Stratos Perperoglou, to the team for the upcoming season. 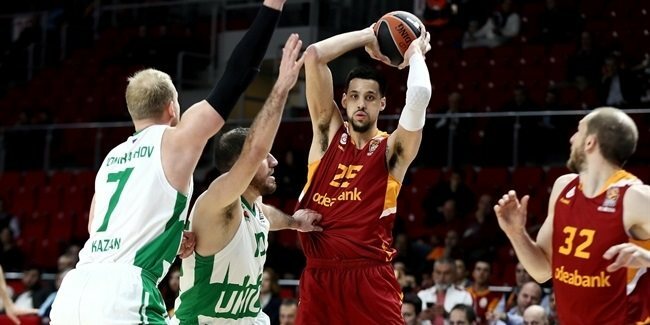 Hapoel Bank Yahav Jerusalem added a viable scoring threat to its frontcourt by signing a deal with power forward Austin Daye, club announced on Wednesday. 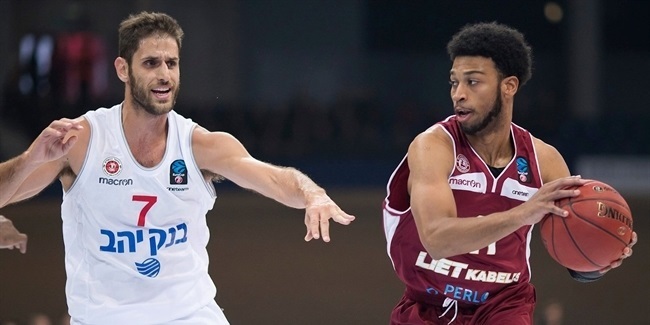 Hapoel Bank Yahav Jerusalem and point guard Bar Timor will be together for another three seasons after agreeing to new deal that ties two sides together until 2020. 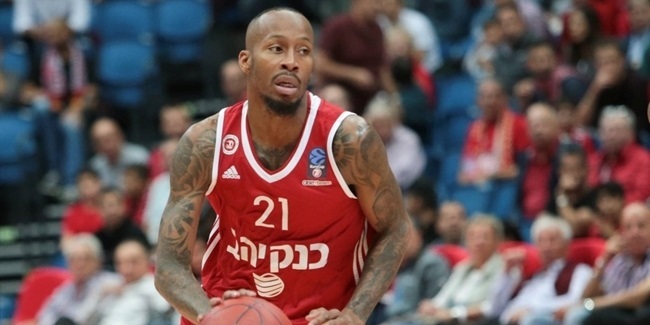 Hapoel Bank Yahav Jerusalem re-signed All-EuroCup First Team guard Curtis Jerrells to a two-year deal on Saturday. 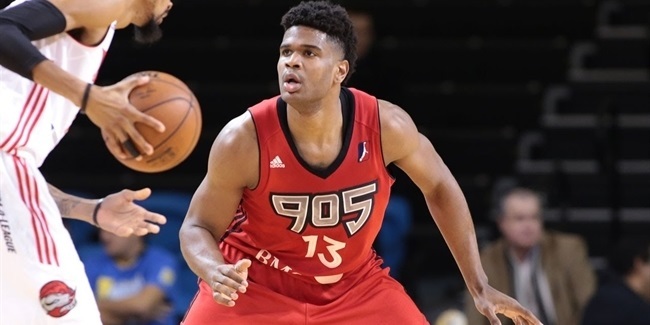 Hapoel Bank Yahav Jerusalem power forward Brian Randle is set to miss the remainder of the 7DAYS EuroCup season due to a torn quad muscle. 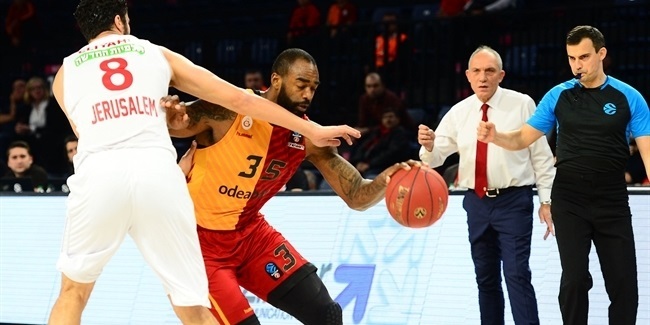 Galatasaray Odeabank Istanbul secured second place in Group B by breezing to an 87-68 victory over Hapoel Bank Yahav Jerusalem. 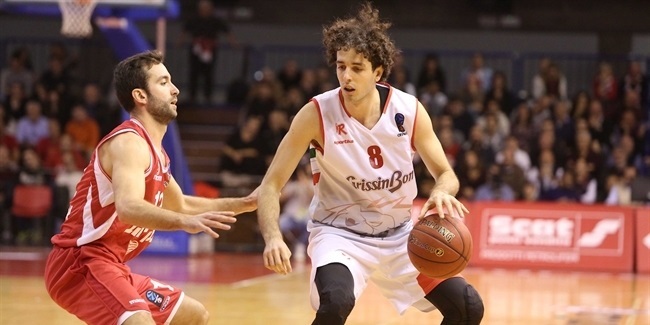 Grissin Bon Reggio Emilia remained in the hunt for a spot in the Top 16 with a 66-79 road win on Wednesday at Hapoel Bank Yahav Jerusalem that eliminated the home team. 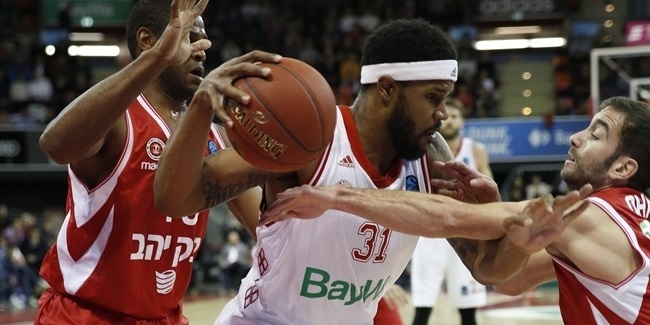 FC Bayern Munich remained unbeaten through eight games in the 7DAYS EuroCup Regular Season with a 111-85 home victory over Hapoel Bank Yahav Jerusalem. 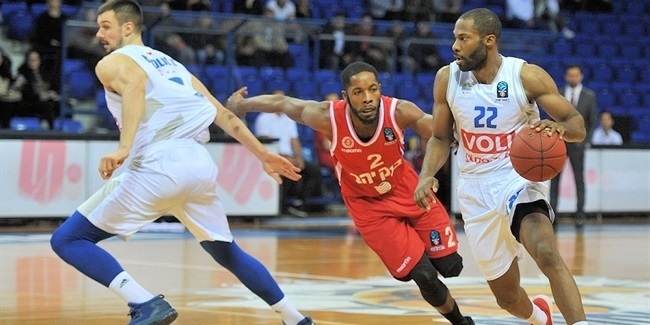 Buducnost VOLI Podgorica started the fourth quarter on a 13-0 run to pull away for a convincing 92-75 victory over Hapoel Bank Yahav Jerusalem on Wednesday in the capital of Montenegro. 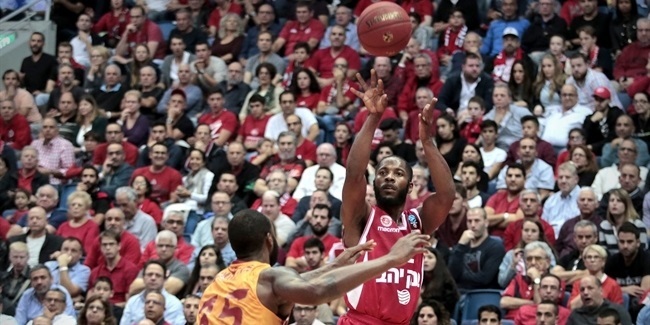 Hapoel Bank Yahav Jerusalem got back into the winning groove under new head coach Mody Maor by rallying to defeat visiting Lietkabelis Panevezys 93-81 on Wednesday. 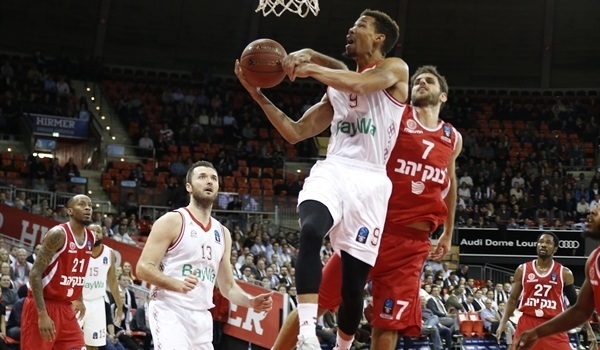 Hapoel Bank Yahav Jerusalem outlasted Grissin Bon Reggio Emilia 61-63 on Wednesday at Palabigi for its first victory of the 7DAYS EuroCup season. 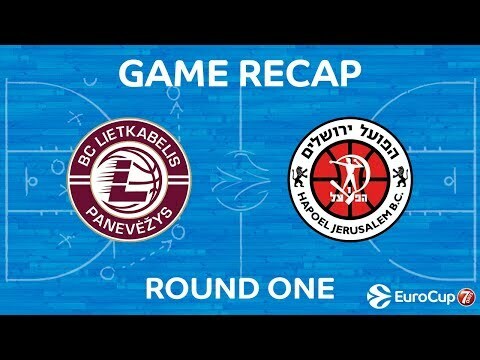 Lietkabelis Panevezys sent a message that echoed all around the 7DAYS EuroCup by downing one of last season#39;s semifinalists, Hapoel Bank Yahav Jerusalem, 86-72 at home in Group B on Wednesday. 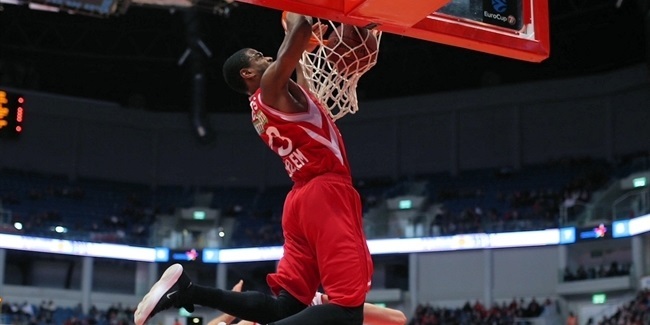 The 2016-17 season was surely one to remember for basket fans in the capital of Israel. 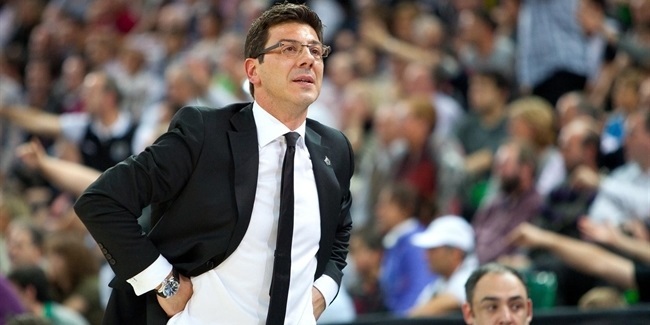 It was clear Jerusalem would be aiming high when Amar’e Stoudemire signed and Coach Simone Pianigiani was hired, giving the club two leaders with rich pedigrees. 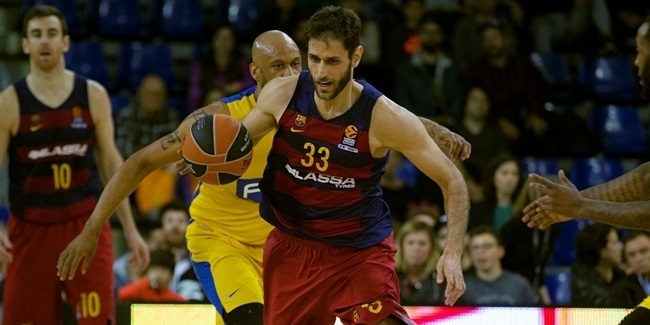 A season-=opening road win at Valencia Basket and a 3-0 start showed that Jerusalem was indeed a force to be reckoned with. 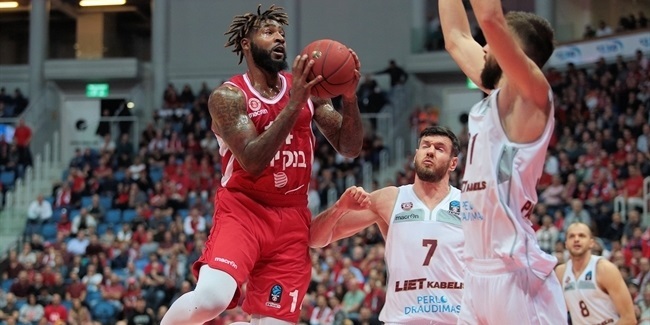 Jerusalem went on to finish second in its regular season group and – with Curtis Jerrells and Stoudemire leading the way – went 5-1 in the Top 16 to win that group. 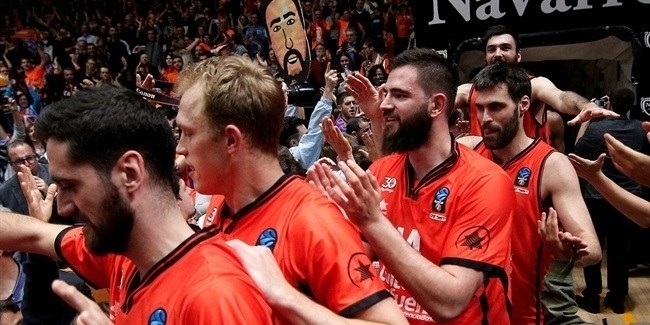 Jerusalem avenged some bad losses in previous season at the hands of Herbalife Gran Canaria Las Palmas by sweeping it in the quarterfinals before meeting Valencia in the semifinals. Each team won at home as Valencia won the series 2-1. 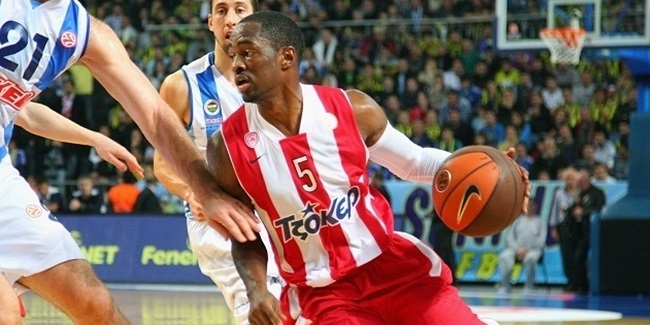 Jerrells was rewarded for his excellent season with All-EuroCup First Team honors and Stoudemire was selected to the second team. Jerusalem stumbled a bit at home after the EuroCup, but regrouped in time to finish the regular season in third place and then bounced back from a 2-0 deficit in the best-of-five quarterfinals against Ironi Nahariya to win the series and keep the momentum going until it claimed the Israeli championship for just the second time in club history. 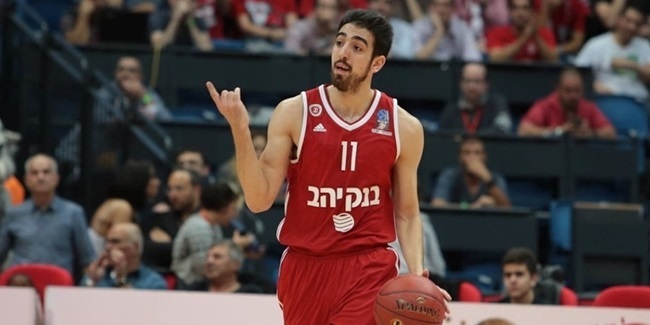 Hapoel Bank Yahav Jerusalem comes off a season in which it won the Israeli League championship for the second time in three years and reached the 7DAYS EuroCup Semifinals. 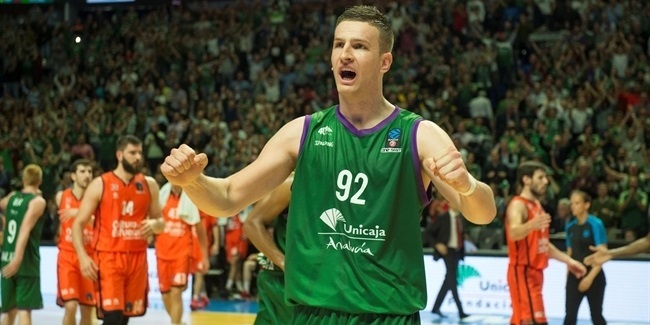 And still the club from the Israeli capital is hungry for more. Jerusalem has long been a hoops town, with organized basketball in the city dating back to before the establishment of the State of Israel. Jerusalem was among the first teams when the Israeli League was founded in 1955, but it was not until the 1990s that the club became the clear No. 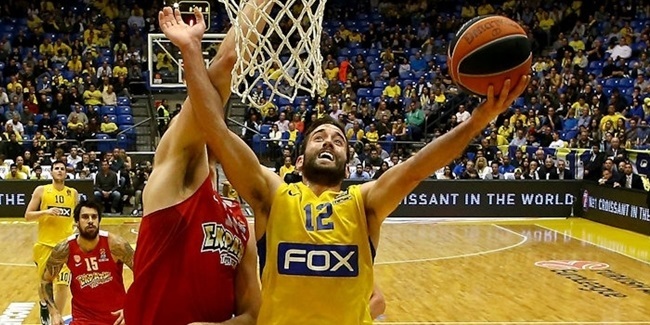 2 in Israeli basketball behind Maccabi Tel Aviv. Star guard Adi Gordon and forward Billy Thompson led Jerusalem to its first two titles, the 1996 and 1997 Israeli Cups. 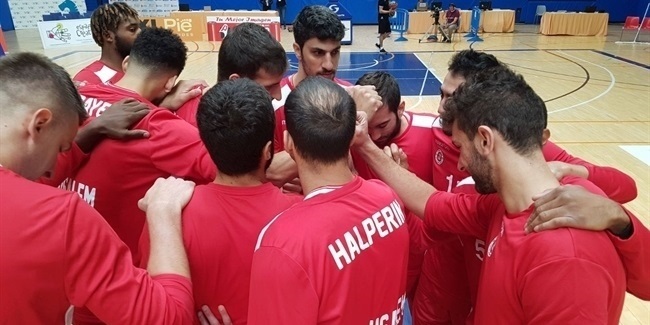 Jerusalem reached the 1997 Saporta Cup quarterfinals and played the EuroLeague for the first time in the 1997-98 season. In 1999, Jerusalem beat out Maccabi for first place in the Israeli League regular season, but came up short in the playoff finals. 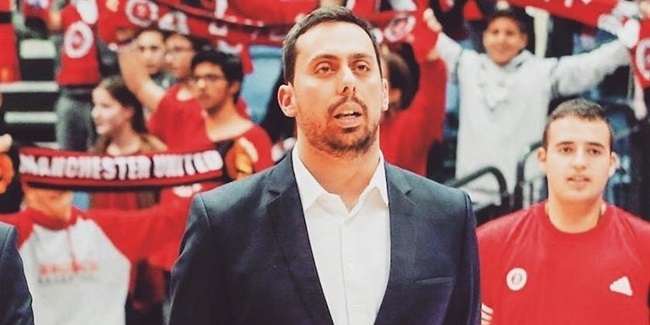 The club played the original EuroLeague season in 2000-01 and a year later Meir Tapiro helped Jerusalem climb to the Saporta Cup semifinals. Jerusalem made basketball history in 2004 when Willie Solomon, Doron Sheffer, Kelly McCarty and Tunji Awojobi led the team past Real Madrid in the ULEB Cup title game in Charleroi, Belgium, for its first – and to date only – European trophy. Jerusalem reached the ULEB Cup semifinal in 2006 and lifted the Israeli Cup again in 2007 and 2008. The club remained a regular in the Israeli playoff semifinals and even made a pair of quarterfinal runs in the EuroCup in 2010 and 2014. After Ori Allon led a new ownership group that took charge in 2013 and the club moved into a magnificent new arena in the Holy City, Jerusalem started to aim much higher. 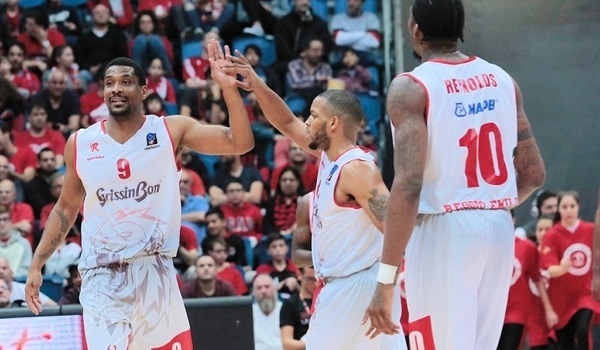 Led by Donta Smith, Lior Eliyahu and Yotam Halperin, Jerusalem won its first-ever Israeli League championship in 2015 by downing Hapoel Eilat in the finals. Jerusalem looked poised for a repeat after placing first at the end of the Israeli regular season in 2016, but was upset in the single-game final at home. 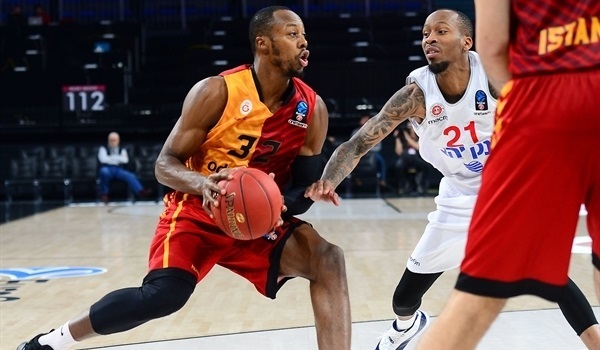 Last season was among Jerusalem’s best ever as Curtis Jerrells, Amar’e Stoudemire and co. came within one win in the semifinals against Valencia Basket of taking the club to the EuroCup Finals for the second time and regained the Israeli League crown. The bar seems to get higher and higher every season for this club.